The answer to your Winter cold! This is the key piece of equipment. 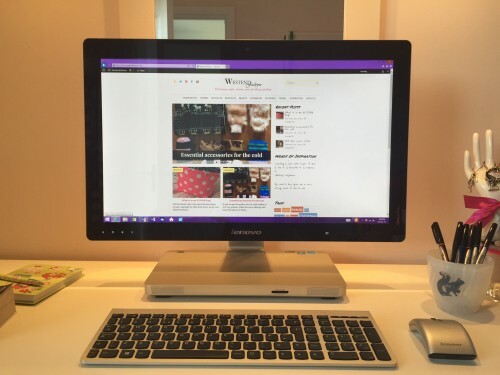 If you can afford to save up for a big screen you will feel so many benefits by changing from a tablet sized display. I am a visual learner which means that I absorb things better by looking at things. You should try to keep organised by placing your documents in the relevant folders, creating power points on things you need to revise and a fast search engine for all your resource needs. My computer is a Lenovo: Super fast, slim and compact. 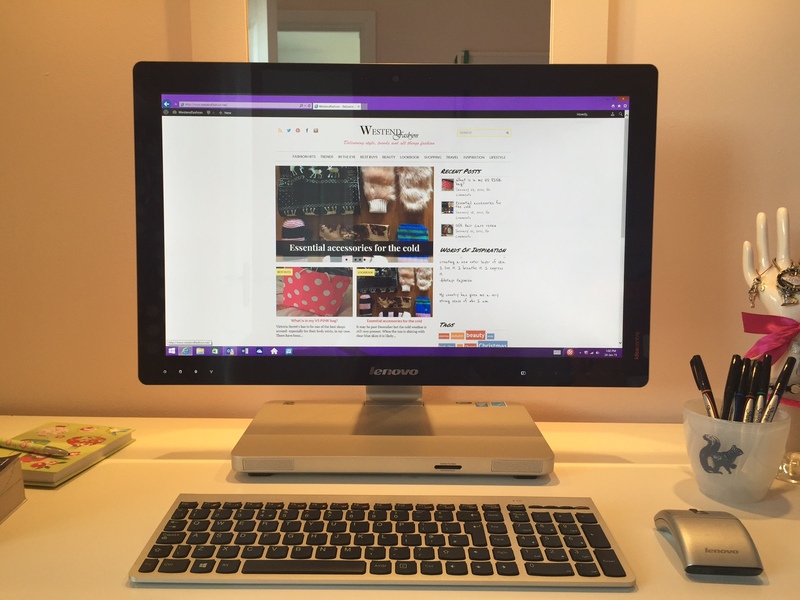 If you could have just one thing on your desk it should be a big screen- you can get computers / monitors for tablets at a range of prices too. Having a whiteboard in your room or by your desk is a smart idea. It is the best surface for brain storming ideas and jotting notes down. The concept of write and wipe means nothing is permanent. I love whiteboards as I find them a fun way of writing things down- mixing with lots of colourful whiteboard markers. The boards are available in a range of sizes and prices so you can purchase whatever style is suitable for your space. Pin or magnetic boards serve similar purposes. Who said the whiteboard only belongs in the classroom? 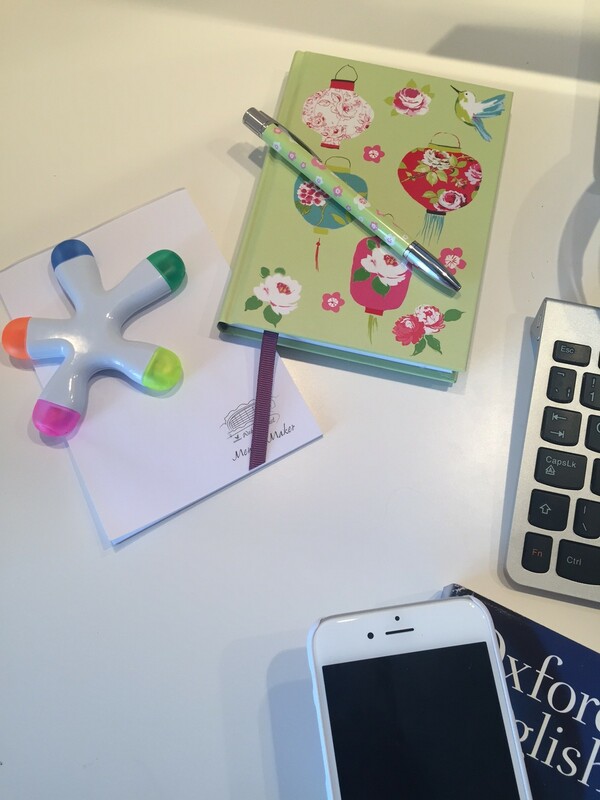 This is just a little collection of my essential items when working at my desk. I think it is obvious that having at least one notepad on hand is sensible (and some highlighters). Depending on your work or subject interest, a dictionary is never a stupid idea. The book of words makes a handy resource when typing up documents or checking for better blogging words! My phone is possibly the combined treasure of notepads, pens and dictionaries. Many of us carry a smartphone today, or some form of tablet, so using it to its full potential is critical for work. Se up your email, download relevant apps, use your calculator and electronic note taker- phones are not just for texting, believe it or not? 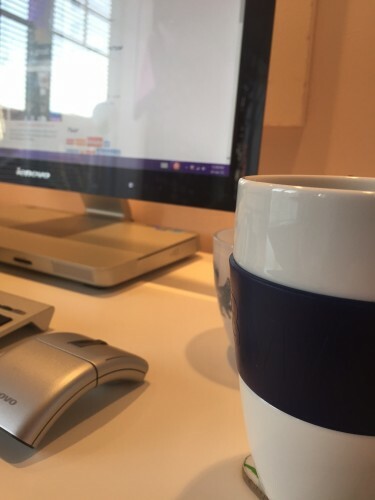 Providing you’re not too concerned about how much coffee is good for you, always have a cup at the side of your desk. When you sit down to work it can be more relaxing to have a nice hot drink in between thoughts. I use coffee as an example since I love a Chai Tea Latte to keep me alert through a long look at algebra, or something of the sort, but I guess it could be any beverage. It is important when working to fuel up every now and then so you don’t send your brain into meltdown- a bag of chocolates might do the trick too. This is such a simple and small thing but are very useful. Having a mixture of colours to write and brainstorm with allows the intensity of work to be brightened just a little. 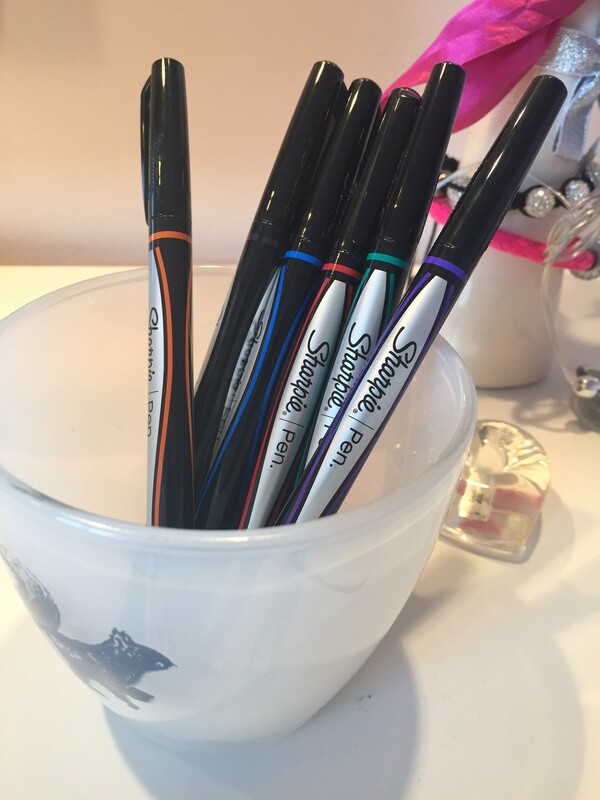 My favourite bundle of pens are the Sharpie fine tip pens- they write easily and a pack has the all important ‘rainbow’ of colours. On a fashionable note, grabbing any pot or tin to place on your desk for filling with pens is easy and looks smart on your desk. A way that is commonly known for relaxing people is listening to music. If you have any headphones that you can hook up to a device you should play music while you work. It will really help to lift any stress or disinterest your carry with the task in hand. 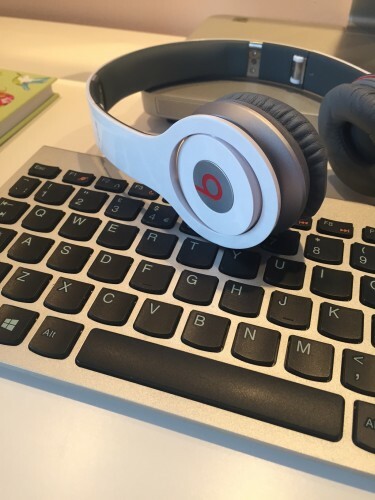 My Dr Dre Beats work a treat. I can either plug them into my computer or phone and let music run through my ears, making work more pleasurable. With doing work or revision at home you have the advantage of being able to complete your task as you wish. 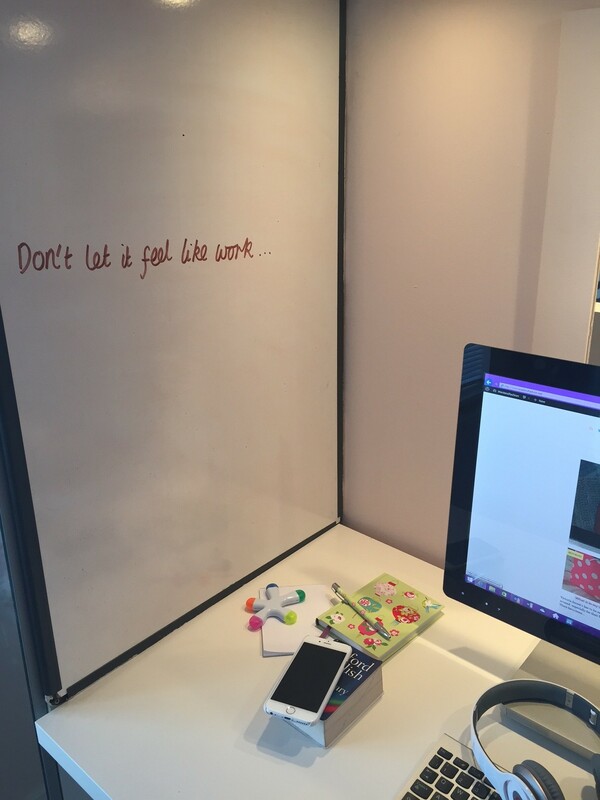 That means make a desk your own- kit it out with all the things that help you to stay cool and relax: counteract the negative vibes of work, work, work.